Touted as one of the most potent and powerful spices used in Indian cooking, turmeric is also a storehouse of healthy properties. This ancient root has found its way into the age-old books of Ayurveda. 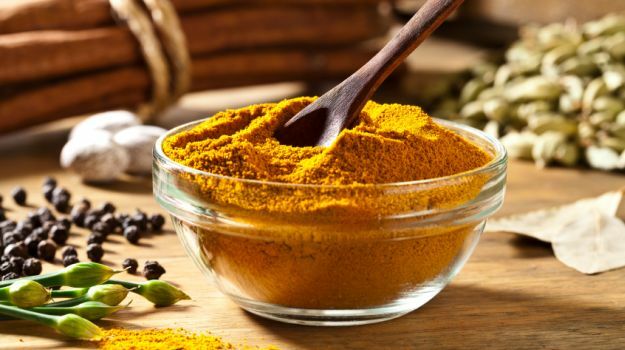 Turmeric, popularly known as haldi in India, has much more to offer than it is usually known for. Its health benefits go way beyond wound healing. Traditionally, some of the most common benefits associated with turmeric consumption or its topical application would include strengthening your immunity, internal healing, curing wounds and improving virility. Indian cooking rests heavily on the addition of turmeric. Besides being used as a spice, turmeric is also used to make haldi doodh - a desi energy drink recommended by our grannies as a remedy for almost all possible ailments. "What makes turmeric so special and beneficial to human health is the presence of a chemical compound known as curcumin," noted Dr. Ashutosh Gautam, Clinical Operations and Coordination Manager at Baidyanath. But how does adding turmeric in milk help? "It is because curcumin has the ability to get absorbed in the fat and tissues of our body and that is how it benefits the body. Milk becomes a smooth medium through which curcumin travels better and speedier to those fats and tissues facilitating its better absorption," clarified Dr. Gautam. It should also be noted that, "not more than a pinch of turmeric should be added in a glass of milk, if you are considering adding turmeric milk or Haldi Doodh in your regular diet," cautioned Dr. Ashutosh. 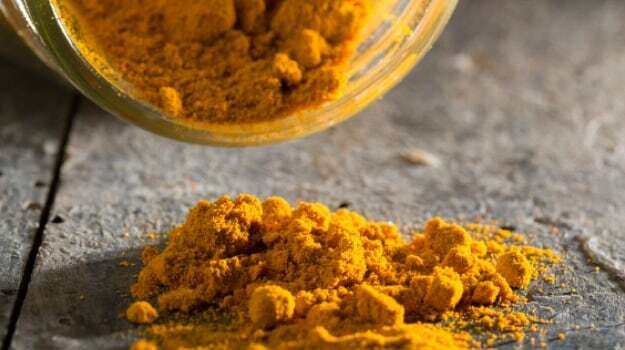 It is easy for curcumin to get deposited in the body and milk further facilitates it, in case one is having turmeric for a prolonged period of time and the quantity of turmeric exceeds more than a pinch, it might cause long-term health issues. It can get accumulated in the intestines as well as the gall bladder. "Raw turmeric root which isn't dried yet, has a considerable water-content and so you can use it in milk or regular cooking. Turmeric when used for medicinal purposes should be used under supervision," shared Dr. Ashutosh. So why exactly should you add turmeric milk or Haldi Doodh to your regular diet? Dr. Gautam suggests five top reasons to add a pinch of this golden spice in your daily glass of milk. 1. Having milk at night is anyway beneficial for health and it induces good sleep. When teamed with turmeric, it also acts as an anti-ageing tonic. Should you add Black Pepper to Turmeric Milk? Most people believe that having turmeric milk has no efficacy if it isn't teamed with a pinch of black pepper. 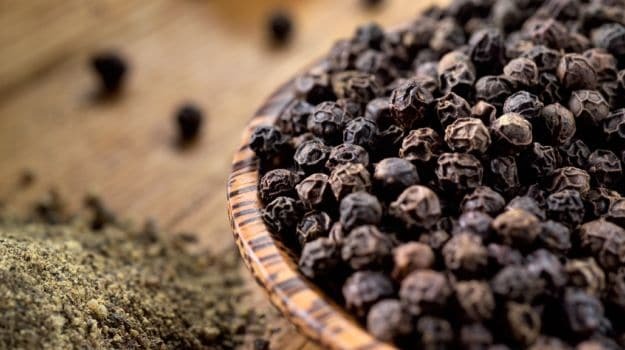 Dr. Gautam explains this connection stating that, "Long pepper or black pepper both have a compound called piperine which heightens or enhances the viability and power of curcumin present in turmeric. It further helps the absorption of curcumin in the body." Having turmeric milk along with black pepper is like getting a double whammy - in a good way! Piperine is facilitates the absorption of antibiotics by the body and also induces anti-inflammatory action, hence it is best to add a pinch in your glass of turmeric milk. 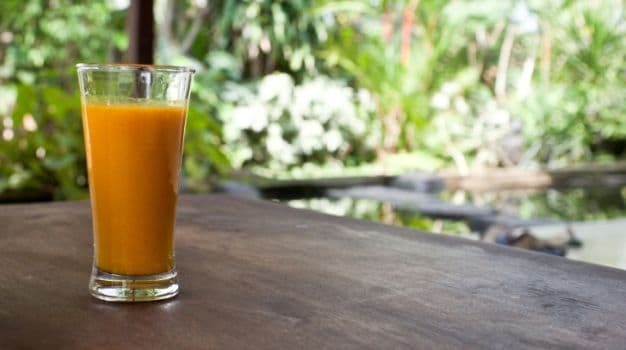 Recently, there has been a sudden surge in people embracing turmeric milk in the West. It is popularly termed as the 'golden drink' in most western countries.